When you connect to vSphere Data Protection in your web client, switch to the Reports tab and select Unprotected Clients, you will see a list of VMs that are not protected by VDP. 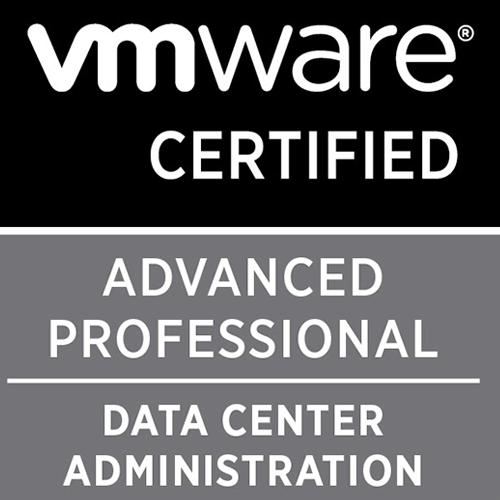 When I say not protected by VDP, it means that they are not added to any backup jobs in that particular appliance. In some cases, you will see the virtual machine is still listed under the Unprotected Client section when the VM is already added in the backup job. This mostly occurs when a rename operation is done on the virtual machine. When a rename is done on the virtual machine, the backup job picks up the new name. The Unprotected Clients under Restore tab will not pick this up. Here is the result of a small test. 1. I have a backup job called "Windows" and a VM called "Windows_With_OS" is added under it. 2. In the Unprotected Client section, you can see that this "Windows_With_OS" VM is not listed as it is already protected. 3. Now, I will re-name this virtual machine in my vSphere Client to "Windows_New"
4. Back in the vSphere Data Protection, you can see the name is updated in the backup job list, but not in the Reporting Tab. This is an incorrect report and the VDP appliance should sync these changes automatically with vCenter naming changes. You can restart services, proxy, the entire appliance too and it will not fix this reporting. 1. Open a SSH / Putty to the VDP appliance. Login as admin and elevate to root. The avgmr is only for GSAN related information and also shows the Client ID is for the VM with the older name. So your vdr server naming is out of sync with the MCS and GSAN sync. You will have to force sync the naming changes between the Avamar server and the vCenter Server. To do this, you will need the proxycp.jar file which can be downloaded from here. A brief about proxycp.jar, this is a java archive file which contains a set of built in commands that can be used to automate or run a specific set of tasks from the command line. Some of the things would require changes from multiple locations and numerous files, and the proxycp.jar will help you do these things by running the required commands. 1. So once you download the proxycp.jar file, open a WinSCP to the VDP appliance and copy this file into your /root or preferably /tmp folder. The In Sync column was false for the renamed virtual machine, and the "syncvmnames" switch updated this value. 3. Now if I go back to the Unprotected Client's list, this VM is no longer listed and if you run the mccli and avmgr command mentioned earlier will show the updated name. If something is a bit off for you in this case, feel free to comment.